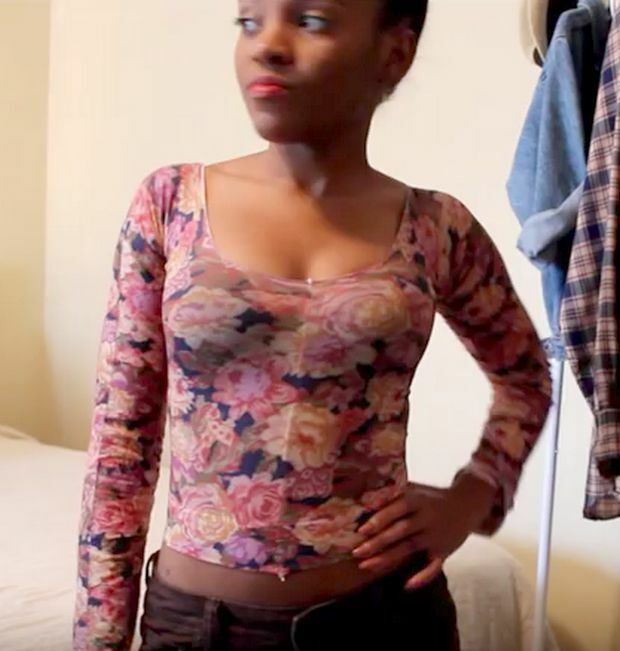 If your leggings don’t fit quite the way you like, or you’ve somehow managed to acquire too many pairs of leggings and not enough summer tops, then consider this idea: with one little cut of the scissors (okay, maybe three if you want short sleeves), you can convert a pair of leggings into a cute summer crop top in just minutes. And you can also do the same thing with a pair of tights. 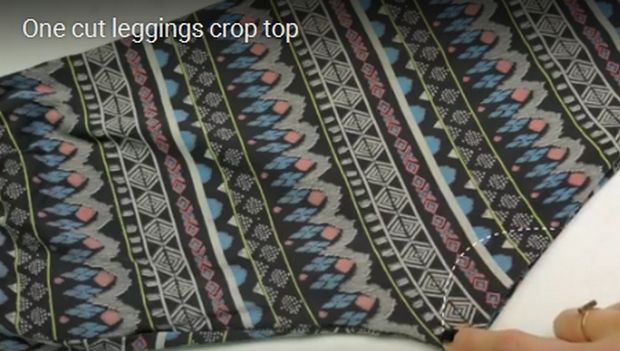 Below, you’ll find find two video tutorials, one for making a crop top from leggings and the other using the same idea to make a curve-hugging top from a pair of tights. Essentially, you fold the legs of the leggings (or tights) together and lay them out flat on your work surface, then make a curved cut (through all four layers of fabric) from the top inner thigh area going to an inch or so above the crotch seam. How easy is that? It might seem strange at first, sticking your head into what used to be a pair of leggings – but you’ll quickly get used to the idea when you look in the mirror. About the only difference when working with tights is that you first need to cut off the feet. You can choose the length to make whatever kind of sleeve you prefer, from full length, three-quarter, or short-sleeve.